There are times when a book starts off slow and takes a mad dash for amazing. There are times when a book is awesome right out of the gate but can't quite make the course. Then there is the solid stinkers and the solid gold. Each book is different. I have a rule with books: If I am not interested by page thirty, I don't have to go on. But every book (except in some rare cases) gets that thirty page treatment. With A View From Page Thirty, I am going to try and give you a point of view that you don't often get with reviews, and that's from the 'Getting to know you' phase. A first date and first impression if you will. Let's see how it goes, shall we? Warning. There will be spoilers from the first two chapters. I doubt this is much different from what one may get in a description, but ye' be warned. The Sphinx stares at me from her plinth. I edge closer, daring her to open her mouth and enspell me with her riddles. She crouches, eyes a-glitter, teeth gleaming through parted lips. She can't, trapped as she is by the paralytic field that holds her suspended. We find out soon enough that we are in a museum featuring the magical and our narrator is sixteen year-old female protagonist, Vespa Nyx (Really. that's her name). We get introduce to the rules of this world through some clever weaving in of backstory. We find out that in this world magic and fate are all unacceptable and they revere Sts. Darwin and Newton. But while we are learning all these things, Vespa is pushed into letting the Sphinx out. Luckily a Pedant, whom I gather are like scientific clergy, shows up to save her and retrap the Sphinx. We meet this Pedant and her father, the museums director and are moved into the next scene... a new chapter. Chapter two completely switches gears. We are now following a different narrator, Syrus Reed, who likes to tell his story in the third person past... anyway we meet Syrus and his family. He is part of a ragtag band of magical people that is constantly growing as city-dwelling magic haters leave their magical-like babies outside the gates (!). Magic is illegal in the city. These people are called Tinkers and live by the old ways. Magic is sacred, Syrus' musings tell us, and with the widespread fear or it, the world is losing those talents. He talks with his Granny a bit, which I liked a lot because you can see how close they are and he also addresses her by Nainai, which is Mandarin for Grandma. Why does this excite me? Because it reminds me of Firefly the TV series. And the last book that did that was Across the Universe, which I also really enjoyed. Anyway, we are taken for most of this chapter into the land of backstory. Really what happens Syrus sings to a new baby, talks with his Granny, and walks down the road to find something (I don't know what yet. That's how the chapter ended). He also muses. Do I have an issue with that? Nope. I like the way so far at least, the musing on the history is pretty balanced with actual actions. So far I am in love with this world and really want to know why the City doesn't like magic, what is going on with the Waste, what Chinese culture has to do with anything? The questions I am asking really make me want to keep reading. I hate flipping narrators to an extent that it completely stops the current action. Worse, I am flipping POV. Vespa is narrated in first person present (not my most favorite) and Syrus is in third past. The funny thing is, I liked the first person narration more than the third, which is totally not my normal style. I didn't notice the present until I started typing the earlier quote. Maybe I'll be surprised and there is a reason for this jarring POV switching, only time will tell! Final Verdict: I am totally going to keep reading! 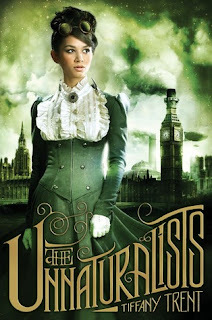 This is on my tbr list, and from your review it sounds interesting! I don't like alternating first and third person though :P Not a big fan. This is the first book I have read that alternates from first to third like that. Really strange! Yeah I dislike the info-dumping, too. The first person story line did a good job of weaving it in well. The third person was a little info-dumpy in the beginning. LOVING this idea, Julia! I think this will be fun for all of us to do sometimes! This is a really clever idea, Julia! I have a tendency to want to read all the way through, regardless of how bad a book seems at first. I guess I try to always give it the benefit of the doubt, but this new method might really save me some agony (and precious time). Great job! I have that rule, but with 50 pages. I'm glad I am not the only one. It's a more or less sort of thing for me too. Hi! Found your blog through the Pink Polka Dot Book Blog! This is a grat idea, as I am reading on a Kindle mostly it is normally 10% in for me. New GFC Follower. 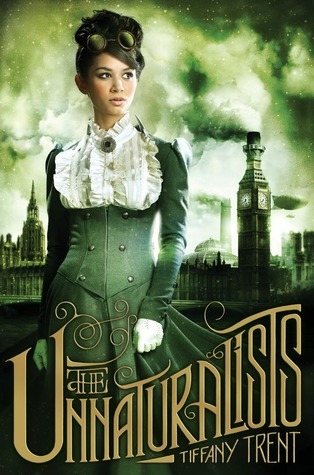 This is on my-soon-TBR list... thanks for the intro to it! I usually give books until about page 50, so I really like the concept of this post! My full review should be coming out soonish (I have to type it yet and get it in the queue lol). I hope you like it! I loved this story. For the complexities, for the creatures of myth, for the way the words were woven, for the truth that one must believe, for all the amazing things, this was a phenomenal story. I feel as if I'm failing at conveying how amazing I found this book to be. To say the least, cheers! It was brilliant.